EAZY-E NO MUSEU DE CERA "MADAME TUSSUAUDS" EM LONDRES ! Estamos organizando,com muito esforço,esta grande petição. de sua ajuda,para colocarmos uma estátua de cera dele,em Londres. Reconheço que é muito dificil,mais não impossível,todos sabem disso. isso é extremamente importante para toda a nação do Rap. Para ajudar na divulgação,pegue este banner abaixo e coloque em seu blog,site,ou site/blog de conhecido,toda ajuda é bem-vinda ! PRECISAMOS DE VOCÊ ! we are organizing,with much effort,this great petition. 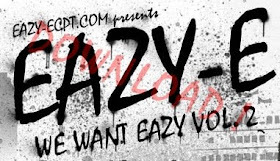 We all know here,patrons of the site,fans that Eazy-E deservers a statue as one os wax in the wax museum on London. He still is not recognized by the all that he did little in his lifetime,and we let in history,we need your help to put a wax statue of him in London. I recognize that it is very difficult,it not impossible,everyone knows it. I hope to help all visitors and fans,this is a extremely important for the Rap nation. Here bellow is the link,where the petition is being made,I aks your help´us is spreading ! To help promote,grab this banner and put it on your blog,website,or a friend website/blog any help is welcome ! 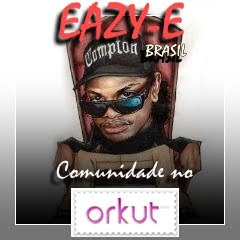 Aê Eazy,o que você tem a dizer sobre seus fãs ?